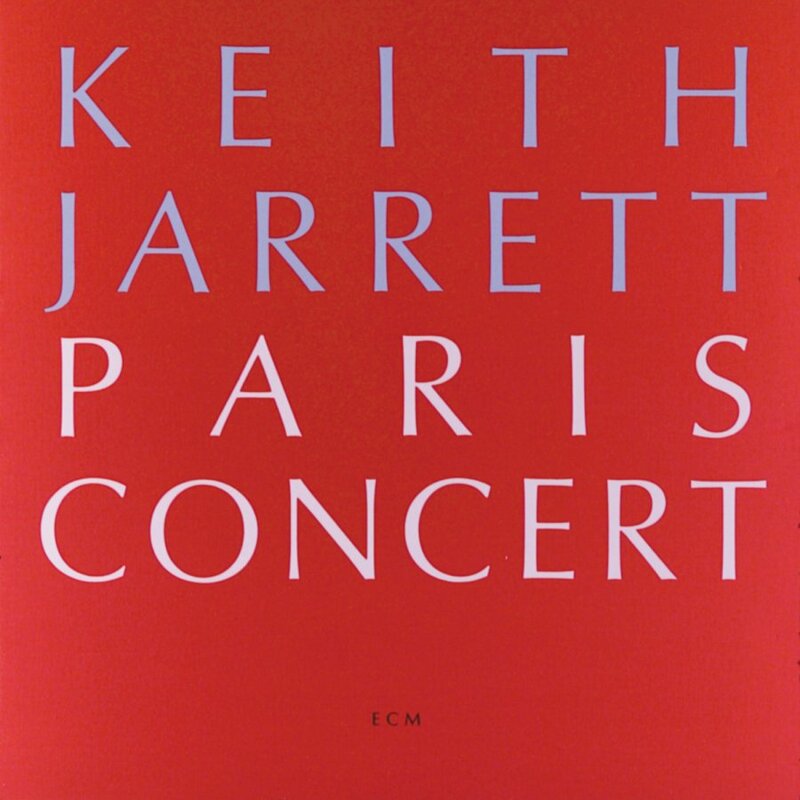 Arguably the most stunning live recording in Keith Jarrett’s solo archive, the Paris Concert may just surpass its Köln predecessor in the sheer naturalness of its unfolding. The recording consists of three tracks, the first of which is simply dated “October 17, 1988” and clocks in at nearly 40 minutes. The music finds depth in its power to spin a self-contained mythology, in its being a window through which one stares to see bits of self. Over a plodding low F he culls handfuls of nebulae, building towering structures of stone and song, and throwing from them streamers of melodies into the vales below until one of those melodies takes wing by the feathers of sunset. It is soft and pale, able to navigate entire continents with barely a flap, and writes across the sky a message for all: Just listen, and you will see. From a thick octave chain Jarrett hangs heavier and heavier ornaments. The development thereof is rigorous yet caged, seeming to run in place not because it cannot move forward but because it cannot look behind, and blossoms into a sustain-pedaled passage so ineffable that it transcends the boundaries of the concert hall, whispers light into our minds, and holds a finger to the lips of thought—a swansong that begins another life. Jarrett spins his tapestries as might a skilled filmmaker, at once letting the actors bring their own experience to the project while at the same time guiding their story arc from somewhere off screen. The two epilogues are thus like alternate endings. “The Wind,” by jazz pianist Russ Freeman, opens with a Steve Reichian flourish and glides into a slow and bluesy love affair with shadows. This slow-motion tumble down the rabbit hole of the night ends with the patter of rainfall and leaves us to contemplate what we have just heard. The simply titled “Blues,” on the other hand, takes a standard progression and draws from it colors we never knew it had. It glows at Jarrett’s fingertips, distills the purity of his expressive vision, and gives us the resolution we crave. A Keith Jarrett solo improvisation is, at its most selfless, a drop into an ocean of feeling far outside the realm of articulation. One feels it in the bones, in the brain, and most importantly in the heart, but always as one part of a thread stretching as far as listeners can see into both the past and the future. We encounter that thread as one might a rainbow: the closer we run toward it, the farther it travels away from us. Only when we look inward do we discover where it begins and ends. Thank you Tyran! Listening and Reading. Creates a unique full range experience!